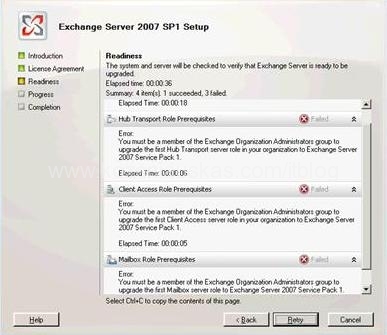 Here is a problem I came across while trying to install Service Park 1(SP1) on Exchange 2007. You must be a member of the Exchange Organization Administrators group to upgrade the first Hub Transport server role in your organization to Exchange Server 2007 Service Pack 1. End also the same error for all the other roles. Although I knew that the user have all necessary rights I’ve double checked that and it does. Solution was very simple I needed to reboot exchange server and after reboot everything worked just fine. First off all why would you need a Stand-alone media? The answer is simple this would be the only fast way to image remote or local PC that does not have connection to the network.